Morning Graph. 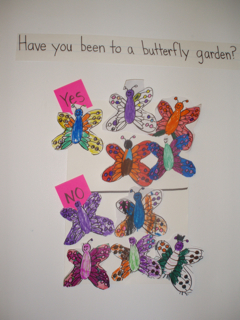 Color your butterfly and add to the graph. 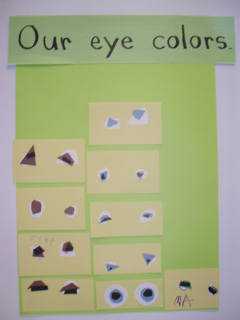 Eye Graph. It is not easy cutting such small circles. 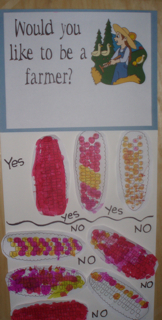 A Farmer Graph before a field trip to the farm. 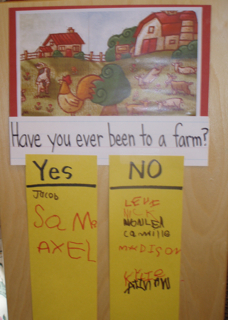 Sign in doesn't always have to be the same. 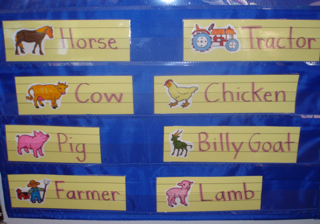 A Word Wall to help with stories about the farm visit. 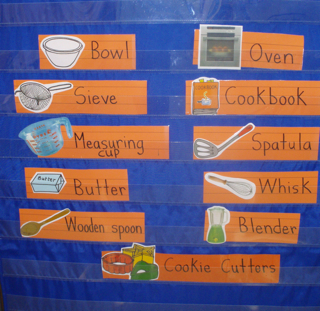 Cookbooks, note pads, pencils, and a word wall enhance the literacy experiences at the housekeeping center.